Mike and Mike talk about the big changes that have happened in Second Life, with the redesign of the 2 castles into one large building that accomodates both Third Life Books and much better use of the available space. Come on by, hang out, listen to the live feed, listen to the Wednesday night writers groups, Third Life Books, The AstroCast Pub and more! Voicemail: ADD Todd thinks there was some anti-manga sentiment during the L. E. Modesitt interview, and there's some clarification necessary; Trampas adds his thoughts on the lack of reviews of podcast novels and other online fiction outlets; Scooter wonders about putting graphic novels on electronic readers. 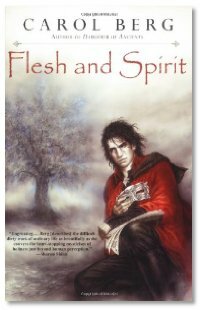 Listener Review: Web Genii brings us a review of Flesh and Spirit by Carol Berg. Don't miss her review of Breath and Bone, the sequel. The Library: Court of the Air by Stephen Hunt; The Monster of Florence by Douglas Preston; The Execution Channel by Ken MacLeod; Tigerheart by Peter David; Necroscope by Brian Lumley; Out of the Picture, Volume 2 by The Artists of OOP; The Summer Palace by Lawrence Watt-Evans. Right on ADD Todd... Except it's MAH-N-GAH. ^^;; Sorry. As in a hallow "a" sound. Japanese word, retains Japanese pronunciation. Manga has a lot of depth to it. We're discussing that in the forums for people who want to join in! Manga certainly has a lot more depth. Liar Game, for example, plays with your head. Yume Tsukai anime also plays with your head. Ghost in the Shell was an influence for Matrix. That blew a lot of people's minds. But that's tame. Japanese horror, like the Ring, played with people. And for the record, manga is Japanese made by Japanese... the jury is out on copying the style. Manga is a media which has certain conventions to it. While I love Modesitt's work... what happened was he attacked an entire media. It's like saying all movies are shallow and stink. Anime is a type of media too. They are NOT genres, like Science Fiction. They are a whole new type of media. Like Books is a medium. Film is a medium. Anime and manga are also different media. What's true of all media is that there is junk and the good stuff. I could say books lack depth too. Then I can point to something like the most hated book out there, or even summarize a story badly based on the blurb. Manga and Anime have been influencing people if Modesitt likes it or not, like Mur Lafferty... J.C. Hutchens... (Hello... Ani-Matrix). So please don't bash. Embrace. Don't go attacking other media because you see competition. You're fighting EVERY media out there when you write a book. You can either fight them or utilize them to your advantage. Which will it be? BTW, if anyone has questions about these two media, tag me at the Dragon Page forums. I did a 20 page High School Senior Thesis on the topic and have been keeping up with it. Media exchange in general is my area of expertise in Cultural Anthropology. Afterthought... Manga did not take over the Sci-fi/Fantasy shelves. At my Barnes and Nobles what happened was they added a shelf. They added another shelf and reshelved the ENTIRE Genre section when manga came in. i.e. it expanded. In my youth it used to be 2 shelves for Science Fiction and Fantasy. It has expanded. I kept track of these kinds of things. I was there at that book store when they did. I go into lots of book stores to see what happens when a new media comes in. What was said about "Taking over the Sci-fi/Fantasy" is wrong. The majority of the bookstores I visited added another shelf rather than encroach. And to say it's only the Sci-Fi/Fantasy is under educated! In the places where they did decide to reshelf, they reshelved the ENTIRE genre section. I don't hear romance authors complaining. The Mystery authors aren't up in arms. What is true is that outsiders think that manga and anime is only fantasy and Sci-fi. But that's not true. And perhaps it's this misperception that also makes Modesitt and the Michaels think that its only the Sci-Fi/ Fantasy section get shelved smaller. Which isn't true. What is true is that the section for "How do you draw comic books" and "History of comic books" got smaller. I keep track of my competition and that's what actually happened... as more manga came in they ate that section out and then added a spinning book end. When this was happening (i.e. Manga was coming in) I was visiting the book store once a week. This was for about 2 years... I kept very careful track. Borders, BTW, has really poor shelving practices. I really dislike how they choose to shelve books. But look they declared bankruptcy so apparently others like me agree.... Barnes and Nobles tends to really pay attention to how they shelve books. The smaller bookstores locally were forced to reshelve their books, but the manga and anime section is small considering that their mainstays isn't in that field. (You have to squint to see it) Rather for the smaller bookstores, it was the comic book stores that reshelved their comic books--which is what you would expect. I don't have any other major chains that carry manga besides the video stores, but I think that's off-topic. I periodically go into book stores at least once a month. Different ones mind you... Borders, Barnes and Nobles, etc. I like keeping track of these things. Basic writer training. You need to know what's happening. 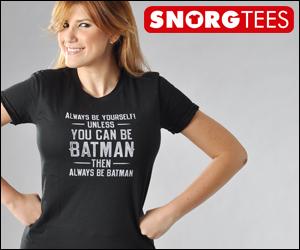 I categorically disagree. Maybe in Modesitt's neck of the woods, but was he really paying attention? Oh and I'm basing this on two major states. NY and CA. I do like checking out bookstores in other places when I travel too... call it obsessive compulsive... or maybe its my inner marketer. And I disagree. I really disagree. Oh and manga is 10 times harder to make than a graphic novel. And definitely harder than writing a short story or a novel. Because the tradition goes that you draw 90% of it yourself. Write all of yourself. You get assistants for screentone, etc. And they aren't made of short stories... so you do get more chance at depth. Comparing the two is foolish. Manga is pretty awful overall. in fact, in japan the adult fiction world considers it a mainline reason for the amount of infantile adults in their society. Its appeal in the states is the exotic texture and simplistic stories. when anime was a rare important interest in the 80's, i was interested in what was happening in Japanese comic culture. when the flood of mediocre crap began flood the comic shops in the 90's, it was losing my interest. 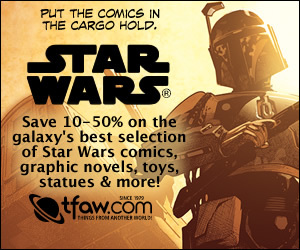 Now; its just d-grade garbage that has eaten the sales of domestic comic-book companies.